Do you not know that all of us who have been baptized into Christ Jesus were baptized into his death? We were buried therefore with him by baptism into death, in order that, just as Christ was raised from the dead by the glory of the Father, we too might walk in newness of life. Baptize simply means to immerse or put in. Paul asks do we understand that we have been put into Christ? This means that spiritually we have died with Christ (to sin) and are raised with Him (new spiritual life). This doesn't mean that we don't sin. It means sin does not have to be our master anymore. So you also must consider yourselves dead to sin and alive to God in Christ Jesus. I think this quote is so popular because of its deep truth. 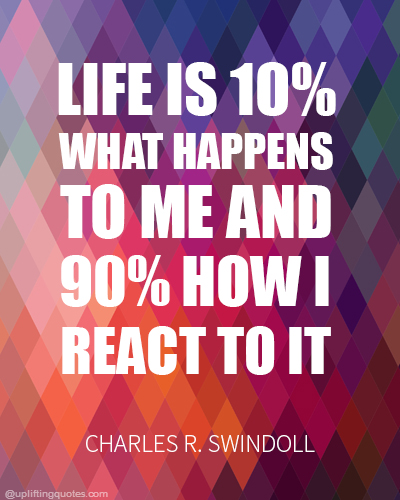 Mindset matters more than circumstances. Many Christians live defeated lives because they don't see themselves the way God does. If you are truly a Christian, then see yourself the way God does, DEAD TO SIN AND ALIVE IN CHRIST! Because Jesus lives you can have life too. If you have accepted Christ as savior, then you are dead to the old sinful nature and alive in Christ! Thank God for new life. 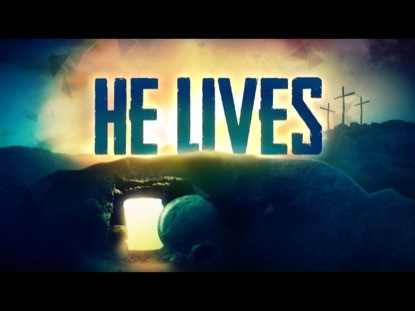 We know that Christ, being raised from the dead, will never die again; death no longer has dominion over him. For the death he died he died to sin, once for all, but the life he lives he lives to God. Jesus lives! Death has no dominion over Him. Like the song says, "life is worth the living just because He lives!" Let each of you look not only to his own interests, but also to the interests of others. Have this mind among yourselves, which is yours in Christ Jesus, who, though he was in the form of God, did not count equality with God a thing to be grasped, but emptied himself, by taking the form of a servant, being born in the likeness of men. And being found in human form, he humbled himself by becoming obedient to the point of death, even death on a cross. Thank You for dying on the cross for my sins. You loved me enough to put my well-being above your own. I put my trust in You Lord. Help me, through the power of Your Spirit, to let that mindset of humility flow from my heart to all the areas of my life. Help me spread the Gospel to as many people as possible and live in Your peace! looking to Jesus, the founder and perfecter of our faith, who for the joy that was set before him endured the cross, despising the shame, and is seated at the right hand of the throne of God. Is there something in your life that brings you joy although it may seem strange to other people? Perhaps the hard work of studying, tightening finances at home or doing work around the house. All of these things have one common factor, a great reward in return for the sacrifice given. Jesus considered it a joyful experience to go the cross for you. Why? Because He looked at what He would gain in return. He looked forward to a restored relationship between Himself and you. Jesus gave His very life down to know you better. Won't you give up your for Him? Jesus considered it a JOY to die for you. He loves you that much. If you don't think you matter to anyone else you matter to Him. So whenever life gets you down remember God values you enough to die for you! Father, if you are willing, remove this cup from me. Nevertheless, not my will, but yours, be done. 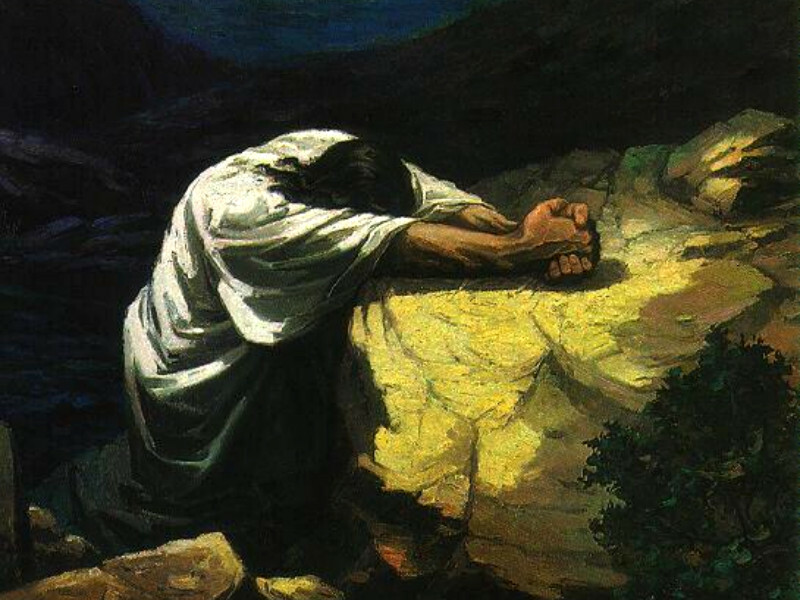 Jesus prayed to the Father shortly before going to the cross. Jesus prayed for a different fate, but ultimately yielded to the Father's will. Why? Even though He was about to face excruciating agony He endured for your good. If we let him go on like this, everyone will believe in him, and the Romans will come and take away both our place and our nation... So from that day on they made plans to put him to death. At a meeting of the Jewish leadership of Jesus' day they decided kill Him because of the threat He posed to their influence and power. While they were acting out of hatred, God used it for good. The Father used the malice of Jesus' enemies to fulfill the plan for Jesus' life, His death on the cross and subsequent resurrection. God's plans always prevail! 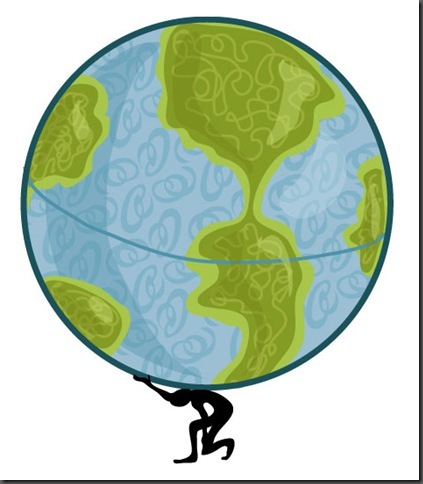 Do you sometimes feel like you carry the weight of the world on your shoulders? The word translated "commit" here really means "to roll" as if you are rolling a large stone. So roll the heavy burdens of life off of yourself and over to Jesus. Do you trust Him? Realize that you don't have to do life alone. Never forget that God knows what you need before you even ask. When you are tempted to worry and try to figure out life on your own decide to keep trusting Jesus Christ! David says that when you commit to Christ, then He will help you. The Amplified version says "He will do it" and the NIV says that "He will act." Truly commit all that you are to Jesus. He will act on your behalf. Whatever you are trusting Him to do.. HE WILL DO IT! David wrote this Psalm in his old age. Through it all, Goliath, falling out of fellowship with The Lord, being hunted down by King Saul and his own son, David came to one conclusion. God is faithful! Commit all you do to Jesus and He WILL help you! Lord thank You for be faithful. I can always put my trust in You! You came through for the Israelites and I know You will come through for me. Jesus I trust You even when I don't understand what You are doing. I put ALL of my confidence in You! Do you feel like your missing out on God's absolute best right now? Where is He leading you right now that seems uncomfortable? Will you follow Jesus' direction? Can you imagine how the Israelites must have felt when The Lord told Joshua that they would overcome the mighty city of Jericho? He told them not to do it by force, but by marching around it for seven days. To the human mind that does not make since. Yet they trusted God and what happened? The walls came down! God's directions won't always make since, but they always lead to His promises being fulfilled in Your life! This is a very simple formula for success in the Christian life. Have confidence in The Lord and then do what He is leading you to do, then you will experience His promises for your life. This is God's recipe for success. Follow it. David, writing as an old man looking back on his life, tells us that when we trust God and follow His Word, then we will experience our "Promised Land" and prosper. Keep trusting God! Parents give rules to keep children safe and secure. 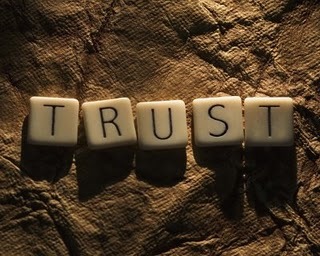 Do you trust that God is the ultimate loving Father? Trust that He knows best even when you can't understand His directions. Until I installed baby gates in the house I was chasing my daughter around making sure she didn't crawl to any place that may be dangerous for her. I want to make sure she is safe. God gives us boundaries for the same reason. To keep us safe. Trust that God knows best! As a loving a wise Father, God directs and protects His children. Believe that His will is best even when His direction seems hard.